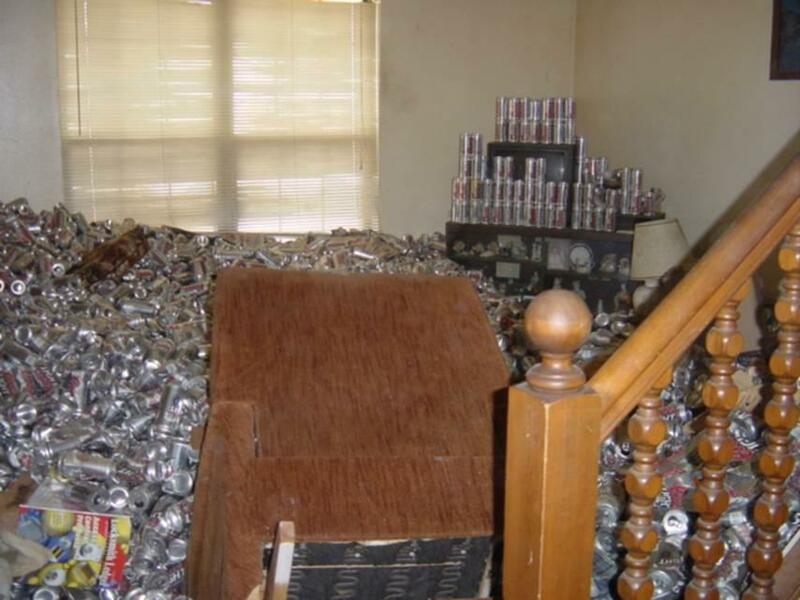 Man Collects 70,000 Beer Cans Inside Home, Carves Tunnels To Travel Through House. 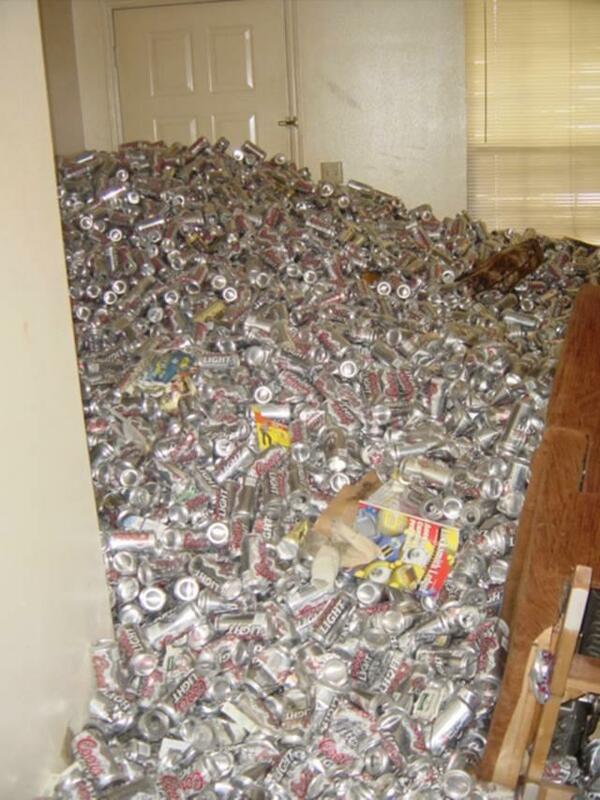 It might be safe to say that this Ogden, Utah man has a drinking problem. Or a cleanliness problem – However you want to look at it. According to Salt Lake City television station KSL, the images were taken by Century 21 property manager Brian Froerer. 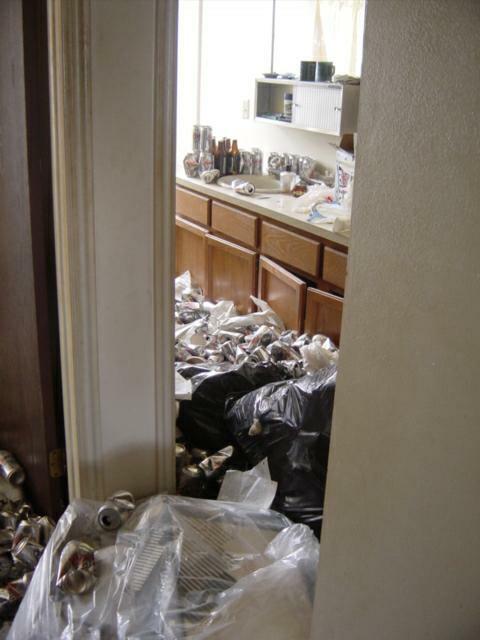 Froerer said the townhome had a nauseating smell, it’s front door blocked by debris, the furnishings inside buried under mountains of beer cans, and rooms stack to the ceiling with beer boxes. 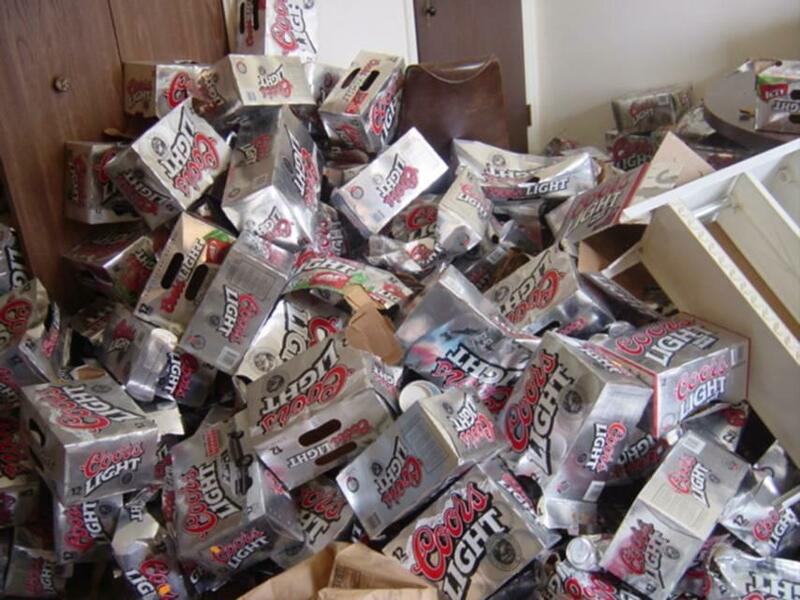 The eight-year resident of the building was apparently a Coors light beer lover. 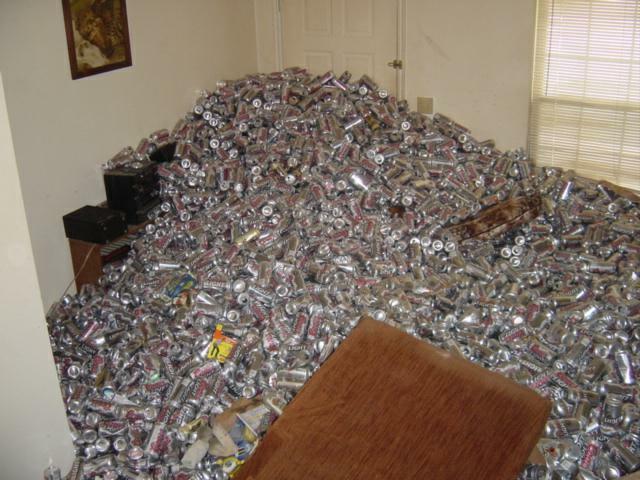 He drank a couple dozen cans a day, every day, for the length of his residence. He saved all the empty cans as well as cartons as he finished drinking them. He reportedly had to make a tunnel through his home to get from one room to the other. 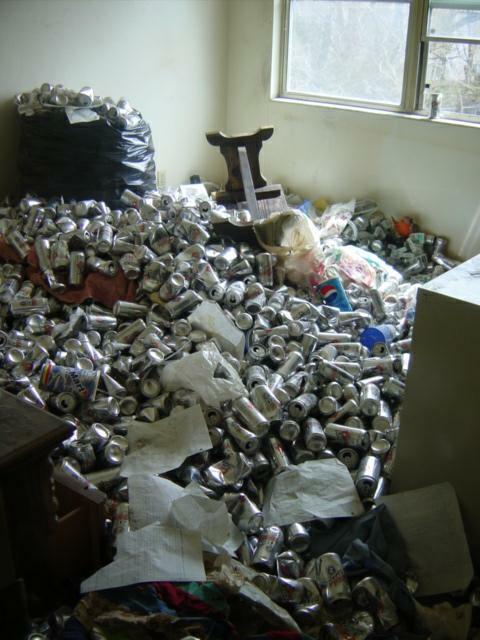 The townhouse was found to contain an estimated 70,000 empty beer cans which reportedly brought in a total of $800 from the recycling company. Despite his unusual behavior, the renter of the townhome was described as a reliable tenant who paid his rent on time, never complain, and maintain such a low profile that the local mail carrier thought the residence was vacant.